Bialystock and Bloom are at it again! 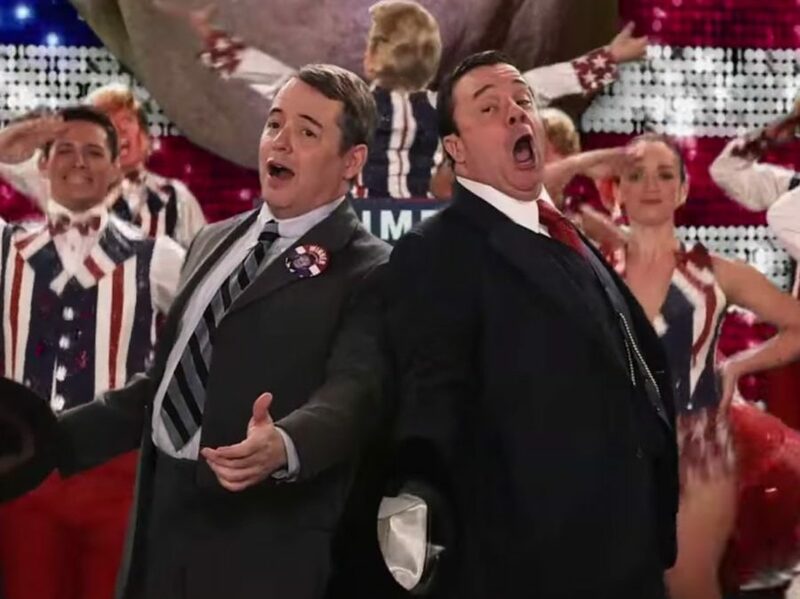 Tony winners Nathan Lane and Matthew Broderick reunited on Jimmy Kimmel Live to give The Producers a 2016 election season makeover. Take a look at their sendup of a certain presidential campaign, complete with musical numbers, “checkies” from Cloris Leachman and a whole lot of Trump masks. You can catch Lane on stage on March 7 in White Rabbit Red Rabbit and on screen in American Crime Story: The People vs. O.J. Simpson.